Burmese Muslims Association strongly condemns anti-Muslim violence that has erupted in recent days in Mandalay, the second largest city in Burma. The violence that has occurred is not simply a result of sectarian conflicts. It is without doubt a well-planned operation, carried out by a group of well-trained thugs–which has tacit impunity and free license from the Thein Sein’s government–not only to cause a great deal of physical harm and injury against Muslims, a helpless minority group in Burma, but also to instil immense psychological terror and mental anguish, during the Muslim holy month of Ramadan. The promise given by President Thein Sein to the world for zero tolerance against anti-Muslim violent activities has once again proven to be completely hollow and empty. Since 1st July 2014, a van and a group of about 30 motorbikes, carrying mobs armed with machetes and lethal weapons, were roaming around the city of Mandalay and targeting various Muslims, shops and businesses owned by Muslims, and a number of Islamic religious institutions and premises. Shockingly, the police stood by and watched the mobs attack the Muslims and their properties, without intervening. In the past, the police have used excessive force and power to crackdown on farmers protesting and land grabbing, no doubt to protect the interests of the generals and their cronies. This hypocritical and contradictory behaviour of the police is clearly because they must not have received orders from the top authorities to stop the mobs and to prevent harm perpetrated against Muslims in Mandalay. 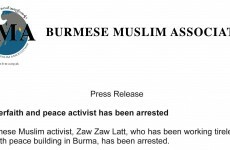 We have documented that whenever there are public demands to amend the 2008 constitution, and whenever there are public protests against the Chinese projects in Burma, anti-Muslim violence was fomented and created by letting loose groups of well-trained mobs in order to divert the public’s attention. Unfortunately, the odious culture of using Muslims as political scapegoats is long anchored in Burmese politics; Muslims have been the victims of various power struggles in Burmese history. Recent violence in Mandalay was triggered based on a rumour published by a news blogger by the name of Thit Htoo Lwin. Instigators of anti-Muslim violence are now once again active in the arena of social media. Moreover, U Wirathu is also posting inflammatory comments on his Facebook page and spreading more unfounded rumours. Therefore, it is very worrisome that the attacks on Muslims could spread to other parts of Burma in the coming days. Authorities in Mandalay have declared martial law, starting on 3rd July 2014, from 9pm to 5am. Muslims in Mandalay are now very much panic stricken, because, ironically, declaring martial law could mean more deadly attacks against the Muslims. In 2013, Muslims populated areas in Meikhtilar city was burned down to ashes soon after martial law was declared. Under martial law in Meiktilar, police only intervened when Muslims were trying to defend their lives, but stood by and watched the mobs when they targeted against the Muslims. Regrettably, it is also a failure of the worldwide international community, that not enough pressure was exerted on Thein Sein’s government to protect the vulnerable Muslim minority, by preventing hate and vulgar speech spewing forth by the militants, and to arrest perpetrators who were instigating and causing harm and mayhem. In a sense, Burmese Muslims are the unfortunate and unintended victims of excessive optimism that the international community have on the on-going democratic reforms unfolding in Burma. 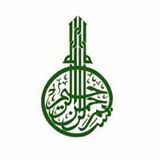 The international community should be proactive, and also react immediately before several Muslims could be slaughtered once again, as it happened in the city of Meikhtilar in the year 2013. On behalf of all the Muslims in Burma, the BMA urgently and in strongest terms, request, implore and demand the international community to send security observers to Burma, and to use effective pressure on the Thein Sein’s government to stop using Muslims as political scapegoats and worthless pawns. In addition, the Rohingya Muslims in Arakan state should also be given adequate health care and security, and allowed to return to their former homes and places. Also, it is imperative to effectively eliminate corrupt and biased authorities and their judicial proceedings, which are one-sidedly against Muslims, and turning a blind eye and providing immunity to the perpetrators of violent criminal activities, which will be seen again in Mandalay. At the same time, the international community should seriously consider to investigate and hold tribunals for crimes against humanity that the Burmese generals have been committing throughout history.